College Sports Turmoil: The New Normal? New stories about abusive coaches, outrageous salaries and alleged rules violations in collegiate football and basketball seem to be coming out every week. But the negative reports are unlikely to lead to meaningful change. What Comes Around, Goes Around: John Calipari, the highest-paid basketball coach in the country, has a talented team at Kentucky — and a worrisome past. Hardly had Alabama and Boise State settled in as co-champions of college football, then did this new decade open with a veritable bombast of negativity about college sports. Coaches were fired for being abusive to players; coaches jumped contracts; money kept rolling into the fun and games; and even the secretary of education popped up to excoriate the whole business. The stink just continues to rise — but don't worry, college fans, nothing good will come out of all the complaints. We can start with USA Today, which has never won a Pulitzer, doing an absolutely terrific front-page enterprise piece on how college sports continue to keep on draining colleges of money, even as colleges everywhere have to make cutbacks in that quaint little adjunct to the football and basketball programs, which is called education. College athletic departments always respond, "Well, gee whiz, we're not really taking all that much money away from the book-learning business because we get a lot of our money from boosters" — which is akin to a company protesting to its stockholders that, don't worry, we don't have to borrow from banks because the loan sharks are supporting us. And booster buddies — the coaches. Never have their excesses been more pinpointed. Besides the three highly paid football coaches fired for physically mistreating their unpaid athletic workers, we had even more spectacular job-jumping. Lane Kiffin, the new coach at the University of Southern California, surely is this year's star mover and faker, pulling out of Tennessee after just one year to go to USC, which had just seen its coach, Pete Carroll, mysteriously abandon college football, where he's been a master, to return to the pros, where his past performance has been mediocre. But then, USC was just penalized for basketball transgressions, and the rumors are that the football program may also be marked. Coaches are seldom penalized and seldom criticize each other. 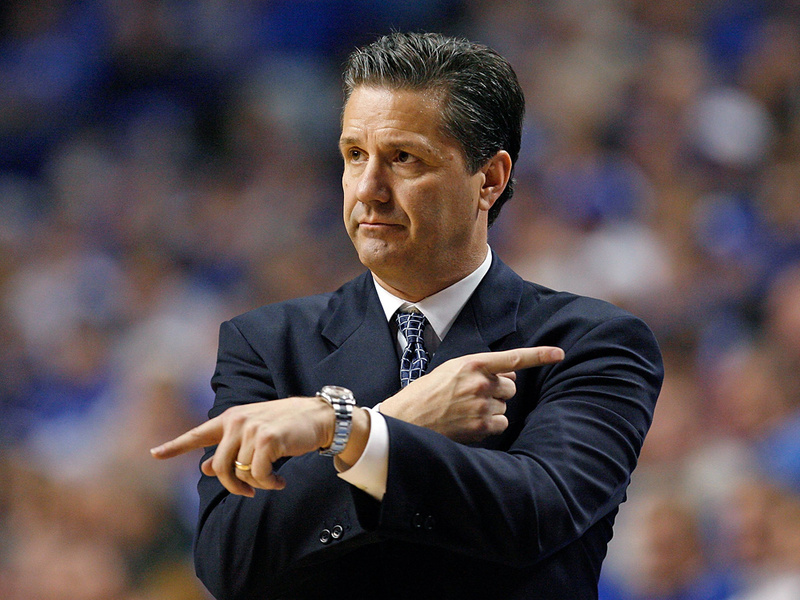 But Bob Knight, a Hall of Fame coach himself, dared publicly point out that John Calipari, the highest-paid basketball coach in the country, at Kentucky, has twice left colleges behind that suffered sanctions on his watch. Ever hear that the past is prologue, Kentucky? But never mind; the Wildcats are now No. 2. The sorrow is that college sports have the capacity to soil almost anyone who is enticed by them. Lois DeFleur was the president of Binghamton University for 19 years. She did an amazing job for Binghamton, academic division. But when Binghamton tried to go big-time basketball, it ended up in a scandal, and President DeFleur was tarnished. The other day, she said she was stepping down for personal reasons. The ones who are hurt by sports and leave always say that, just like the coaches who jump and leave their old teams in the lurch always proclaim that it's a new challenge. Meanwhile, Arne Duncan, the education secretary, says it's a disgrace that colleges don't graduate more so-called student-athletes. But the truth is, sadly, that so many of these players are just sham students, being passed along. Don't waste your time with college sports, Mr. Secretary. American education has enough real problems — and no boosters to pay the bills.